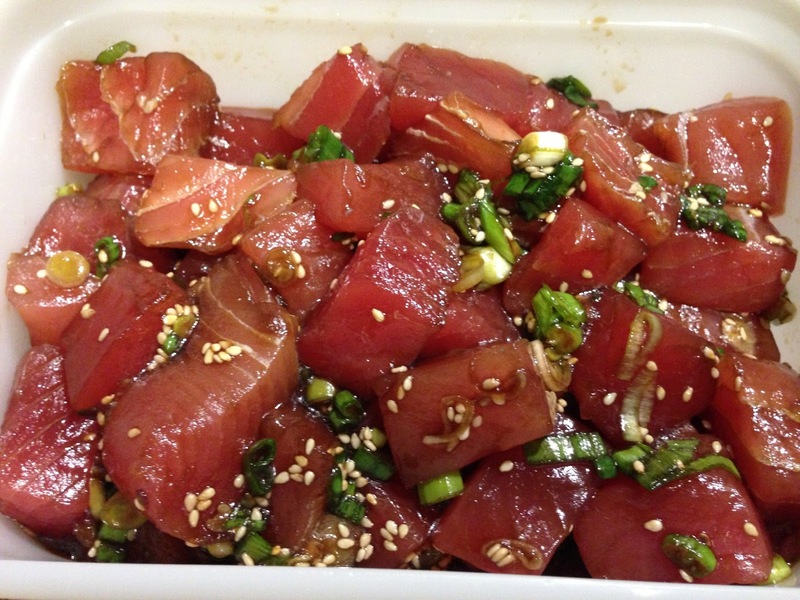 In a medium mixing bowl, toss everything together until tuna is well coated. 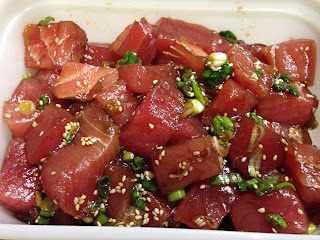 Serve with a side of sushi rice or by itself as an appetizer. If you want it saltier, just add 1/2 teaspoon of soy sauce.